Fine Arts Lecture Series - Arts Council of Moore County - The Source for Moore Art! | Arts Council of Moore County - The Source for Moore Art! Before the #MeToo movement or even the 1963 publication of Betty Friedan’s The Feminine Mystique, a number of women artists astonished the art world establishment and public expectations with their talent and grit. 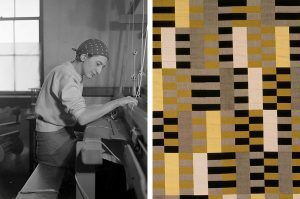 These lectures will examine the accomplishments of five notable women who produced paintings and textile art that were every bit as original as the much heralded art of their male counterparts. 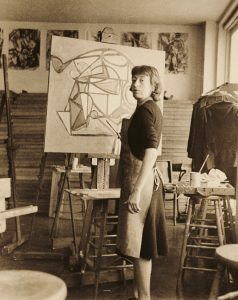 Two of the women were married to painters who led the first modern art movement in America, but Lee Krasner Pollock and Elaine de Kooning were undeterred by their husbands’ celebrity and painted radically innovative work throughout their lives. A third, Frida Kahlo, began her career in the shadow of her famous husband, Diego Rivera, but today may be more widely recognized than he for paintings about her own life and Mexican heritage. SPECIAL FILM OFFERS: To enhance the lecture series, the Sunrise Theater is offering two on-screen presentations featuring Frida Kahlo. A free showing of the Emmy-nominated, PBS documentary, The Life & Times of Frida Kahlo, will show on May 9, 2019 at 10 a.m. On May 16, 2019, for a $6 admission at the door, Frida, the biopic that earned actress Salma Hayek an Oscar nomination, will show at 10 a.m. For more information on these films, contact the Sunrise Theater. When the Albers arrived at Black Mountain College in 1933, from Nazi Germany, they joined a faculty of avant-garde artists and writers. Josef spoke no English and his wife, Anni, had to translate his lectures to the first class of art students. Josef taught that art wasn’t about creating objects, but about performing experiments with color and materials, often using geometric compositions like the Albers squares that we know so well. Meanwhile, Anni found time to establish a weaving studio, to encourage students to imagine materials as an adventure and to make art from the unlikeliest objects they might find, even at the hardware store. 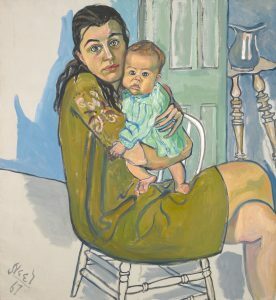 Portrait painter, Alice Neel, was not interested in “a pretty face.” She turned her intense, no nonsense gaze on her subjects, including herself, depicting the humanity in all of us. She used bold color and line to communicate our frailty, dynamism, intelligence, and passion, creating art that speaks to our soul rather than describing appearances. Join us as we explore some of the most intriguing modern portrait artists, including Robert Henri, Alice Neel, Frida Kahlo, Philip Pearlstein, Larry Rivers, and David Hockney. There are many reasons that people marry or divorce, but sometimes it is because they are both artists. Some artists will understand their partners’ work, accept the lifestyle and serve as a supporter as well as an experienced eye. Another artist might be one’s competitor and fiercest critic, resentful of one’s success and scornful in his or her own work. It is not infrequent that artists marry each other, as their paths cross in art studies, gallery openings and professional associations. Art enthusiasts have long been fascinated with the lives of the artists behind their favorite works, and particularly with the elusive relationship between artists and muses who inspire them. But when we think of artists and muses, it’s hard not to think of a male artist and a female muse. This lecture will focus on successful, dramatic and turbulent relationships between 20th century art couples and their influence on each other and the world. DENISE DRUM BAKER is an artist and recently retired professor of visual arts at Sandhills Community College. She earned her master’s degree from Appalachian State University. Her list of awards and honors includes a Faculty Exchange from the Newry Institute in Northern Ireland; Fulbright Teacher Exchange Scholarship Nominee; and a Distance Learning Instructor for the NC Museum of Art. She most recently completed work on Post Cards Crossing the Atlantic, an exchange project with Irish colleagues demonstrating the lost art of letter writing. ELLEN BURKE is an art educator with 37 years of experience as a studio instructor and fine and performing arts administrator. In addition to teaching in Massachusetts, she was an adjunct instructor in art education at the New Hampshire Art Institute. One of her great passions is engaging students in careful observation, reflection and discussion of works of art. Since moving to Pinehurst three years ago she has presented art appreciation discussions at Hollyhocks Gallery in Pinehurst and teaches small group art lessons to children and adults. MOLLY GWINN is an art historian who has presented the spring lecture series in the past and has offered a number of classes with the Center for Creative Living at Sandhills Community College. She earned her doctorate from Rutgers University and has taught at Rutgers, the School of Continuing and Professional Studies at New York University, and at the Dallas Museum of Art. All lectures will be presented at 5:30pm at Weymouth Center. Space is limited. 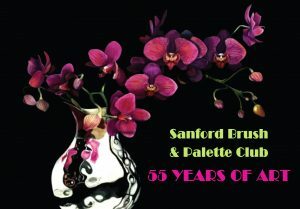 Please register now with full payment at the Arts Council’s offices (Campbell House, 482 E. Connecticut Ave., Southern Pines) or by calling 910-692-2787. For additional information, call 910-692-ARTS (2787) or visit www.MooreArt.org. Find us on Facebook, Instagram & Twitter! 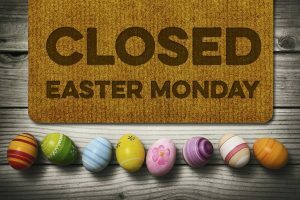 The Arts Council of Moore County and Campbell House Galleries will be closed today for Easter. © 2018 | All rights reserved | Website by AndiSites Inc.